I’ve had a love affair with Mexican food since my college days, when I spent a summer in Oaxaca and discovered that Taco Bell had been deceiving me about south-of-the-border flavors. Live and learn. Here on the Wasatch Front, we certainly have a bounty of good and great Mexican fare to sink our teeth into. 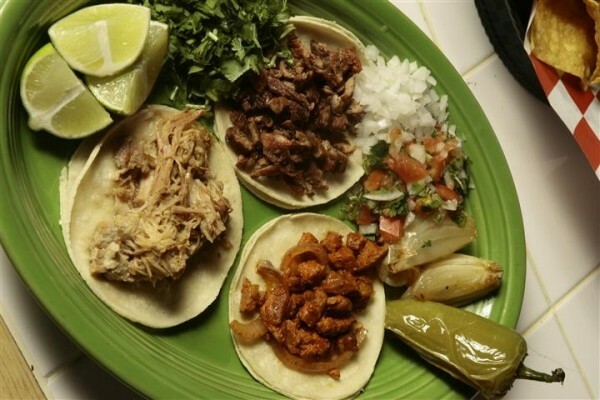 A handful of Mexican restaurants seem to garner most of the accolades and press. El Paisa Grill isn’t usually one of them, but it’s been quietly dishing up authentic Mexican cuisine for two decades. Well, maybe “quietly” isn’t accurate. There’s always music blasting at El Paisa, either in the form of live mariachis (Friday nights), karaoke (every night) or a continuous stream of piped-in Latin music. You never know when someone’s going to grab a microphone, take the stage and begin belting out tunes. I love it. I think you will, too. But, as much as I enjoy the entertainment at El Paisa, it’s the food I go there for—although, I have to admit, the menu can be daunting. It’s so extensive that the seafood section alone lists 22 different dishes, in addition to five fish options and a number of seafood appetizer selections, such as oysters on the half shell ($6/half dozen), ceviche ($10.99), shrimp cocktail ($12.99), seafood soups and more. Then, there are tacos, burritos, enchiladas, tortas, house specialties and … well, you get the idea. There is something for everybody. Upon being seated, you’ll get a big basket of chips with excellent housemade salsa. I’d also place a quick order for queso fundido ($5.99) to munch on while you peruse the lengthy menu. It’s a gooey blend of green chiles with Menonita cheese (made by Mennonites in Northern Mexico) topped with jalapeño slices and a choice of corn or flour tortillas. The first time I recall seeing a molcajete in a Mexican restaurant—not the molcajete implement itself, but the complex dish called molcajete—was at El Paisa Grill. Many local restaurants now offer it, but I think El Paisa was one of the first. It’s a must-have. The molcajete supreme ($22.99) is a brain-bending mélange of beef, chicken and shrimp with nopalitos, plump Mexican-style scallions and jalapeños in green chile sauce, served in the molten-hot stone molcajete. The menu says “Serves 2,” but I beg to differ. Maybe as a main course it serves only two, but I think the molcajete easily serves four, since it also comes with a cactus salad and a choice of two side dishes like Spanish rice, veggies, charro beans or others. There’s also a seafood (mariscos) molcajete made with fish, shrimp, crab and octopus. For an authentic taste of Guadalajara, order the mojarra frita al gusto ($11.99). It’s a whole, deep-fried tilapia, to which you can add a choice of sauce ($1.99): diabla or mojo de ajo. I slightly prefer the fiery diabla to the garlicky mojo, but both are delicious. I also really like the Michoacan-style carnitas ($12.99), crisp-crusted pork simmered slowly with spices and orange in its own juices. The carnitas come with Spanish rice, salad, refried beans, guacamole and tortillas—quite a meal for $12.99. By the way, there’s a cantina on one end of El Paisa Grill, and you can get a vast array of interesting cocktails there or in the dining room. The margaritas are excellent, but you might also want to try the cucumber cocktail: cucumber liqueur poured into an iced shot glass with a thin strip of cucumber rolled in chile salt. At the other end of the flavor spectrum, sadly, is a Farmington restaurant a few people insisted I should check out: Francisco’s Mexican Grill. The wide range of opinions on sites like Yelp and Urbanspoon—“It’s the BEST!”/”It’s the WORST!”—piqued my interest, but also reminded me why I don’t put much stock in “reviews” on those sites. It’s hard to account for the crowds at Francisco’s. Judging by the number of customers in swim attire, I’m guessing it’s a refuge from fast food for Lagoon-goers. They couldn’t possibly be there for the food, could they? Let’s start with the “salsa.” The first serving of chips and salsa are free (you won’t want to purchase a second). The corn tortilla chips are fine, fried in-house. The salsa, however, tasted like spicy tomato water—so thin and watery that you literally can’t scoop salsa up with the chips. It slides right off, usually onto the table. And, the fact that most menu items come with sour cream is an indication of the less-than-authentic Mexican fare offered up at Francisco’s, where the food seems to be dumbed-down. I won’t beat a dead horse. Service is slow at Francisco’s, and the food is remarkably bland; sauces taste like they were poured directly from cans. The only thing I’d recommend is the tamale, which had large chunks of pork meat and was quite tasty—possibly even housemade—but served with sour cream. Everything else—tacos, burritos, enchiladas, even the rice and beans, which were without flavor—meh. This is a place for large quantities of mediocre food at not-too-steep prices. My recommendation: Stay away from Mexican restaurants that serve coconut shrimp.